What is the feeling of a city? Its streets, its light, the people who live there and their stories. But it’s not only that. There is something else, something that needs time and attention to be seized. 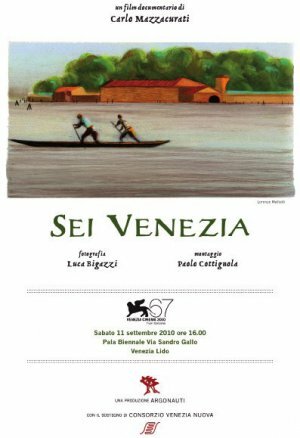 “SEI VENEZIA” goes in search of this feeling through the city and its lagoon, in its corners and days, by listening to the stories of six inhabi- tants: a chambermaid, an old archaeologist, a retired man from Mestre, a painter-fisherman, an apartment thief and a young boy.